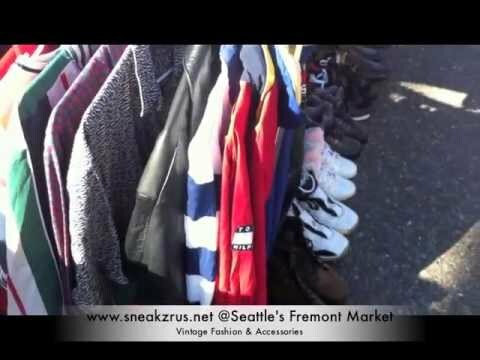 SRU Vintage | 90s Fashion & Accessories @ Seattle’s Fremont Sunday Market 2013 for the first time. A few set backs on the day but we did what we do best, hustled, improvised and made it work. A small selection on display of our inventory including vintage snapbacks, men and women’s vintage blazers, sweaters, sneakers + more. Check us out at www.sneakzrus.net for more!